"Missing my daughters grow up - that's what I was sentenced to." HBO has debuted the official trailer for a documentary titled The Sentence, which won the Audience Award for Best Documentary at the Sundance Film Festival earlier this year. It's a very big win for this film: a powerful, emotional, personal look at the life of a woman sentence to 15 year's in prison for her deceased ex-boyfriend's crimes. The title – The Sentence – is a reference to the mandatory minimum 15 year federal prison sentence she received for her tangential involvement with a Michigan drug ring years earlier. The film follows the story of Cindy Shank's family, and her three young children, who patiently wait for their mother to finally be released. "This intimate portrait of mandatory minimum drug sentencing's devastating consequences, captured by Cindy's brother, follows her and her family over the course of ten years." There's a good reason it won the Audience Award this year. A searing look at the consequences of mandatory minimum sentencing, The Sentence is the first film from Rudy Valdez, who openly tells the story of his sister Cindy Shank. A mother of three, Shank received a 15-year mandatory minimum sentence for conspiracy charges related to her deceased ex-boyfriend's crimes. The Sentence is directed by filmmaker Rudy Valdez, making his feature directorial debut. Rudy is a New York City-based camera operator and producer who decided to make this film on his own because no one else could her story best than someone from the family. The film premiered at the Sundance Film Festival earlier this year, where it won the acclaimed Audience Award for Best Documentary. 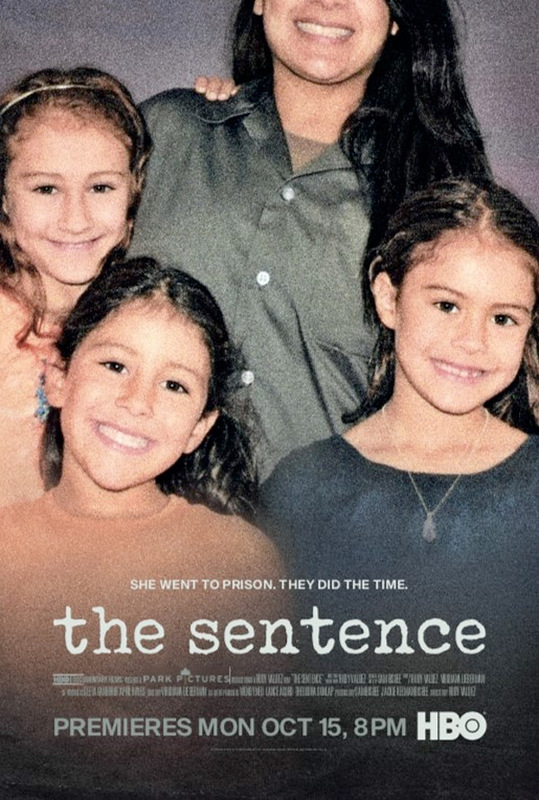 HBO will be releasing Valdez's The Sentence streaming exclusively starting October 15th this fall. It's worth a watch. Interested?